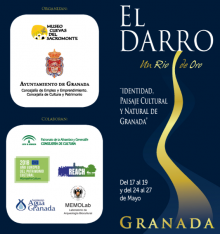 MEMOLab laboratory of the University of Granada, in the framework of REACH project, continues the planning and implementation of events dedicated to the recovery and use of historical irrigation systems. 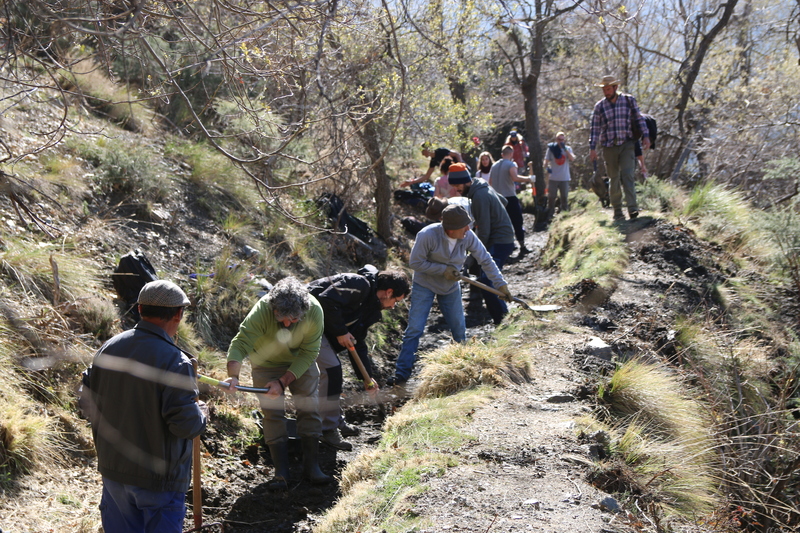 Also this year the “recovery of historic irrigation channels” campaign was organized; the cleaning of the historic irrigation channels with the irrigation communities was started already in March, earlier than usual, because the irrigation communities of the province of Granada, due to the lack of rain, need water to start irrigating their fields. 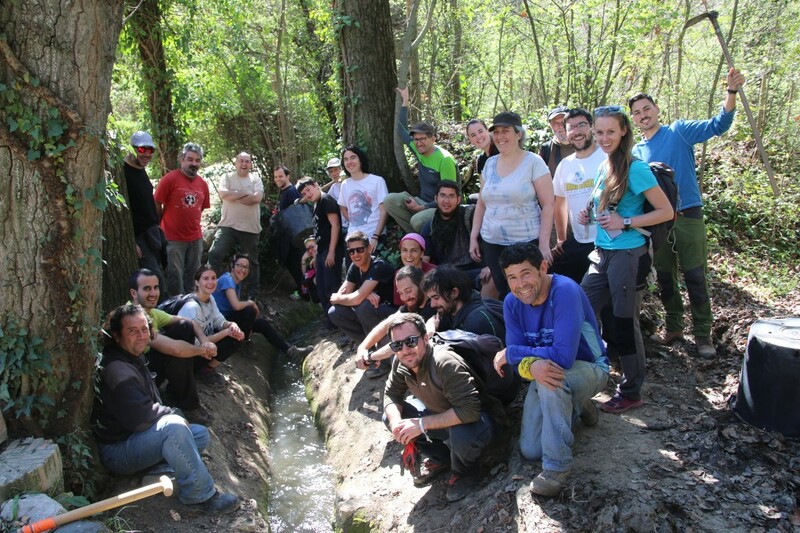 the activity took place with the community of local irrigators and the collaboration of the Council of Alhambra and Generalifee, 25 volunteers participated. The activity carried out by MemoLab is also aimed at dynamize the community and putting their irrigators in contact, since the community of irrigators has disappeared. 30th of March “Barjas” Irrigation Channel in Cáñar: activity with Cáñar Irrigator Community (20 members) and the participation of 50 volunteers. 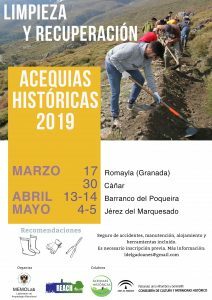 On the occasion of World Water Day, the 5th Annual Cleanning of the medieval irrigation Barjas- Water Party was carried out. In this area, the work of MemoLAb plans to support irrigators on their objectives, such as the promotion of agricultural activity, for the next 4 years. 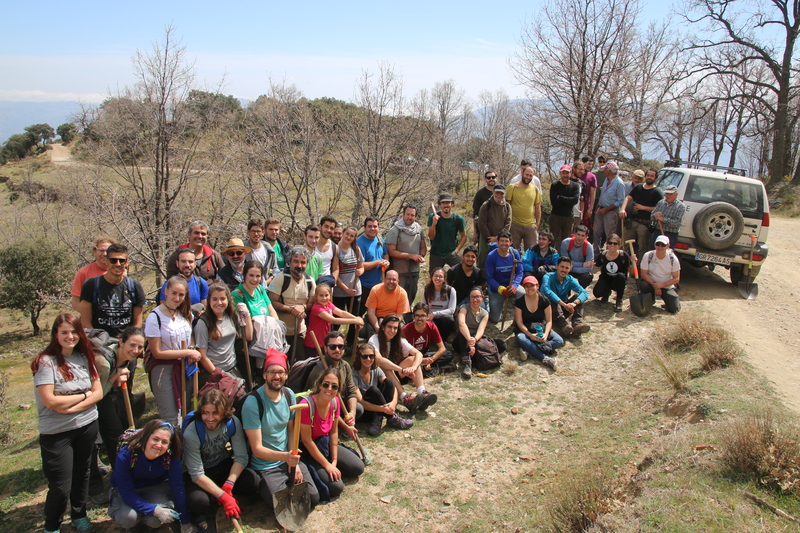 13-14 of April “Nueva” Irrigation Channel in Barranco del Poqueira with the local irrigators community (18 members), the participation of 45 volunteers and with the collaboration of the Natural and National Park of Sierra Nevada, Capileria town hall, Bubion town Hall and pampaneira town Hall. The work carried out is to help the irrigators to establish a directive and start to working as a community. 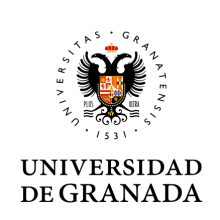 The last local encounter is scheduled on 4-5 of May at Jerez del Marquesado. 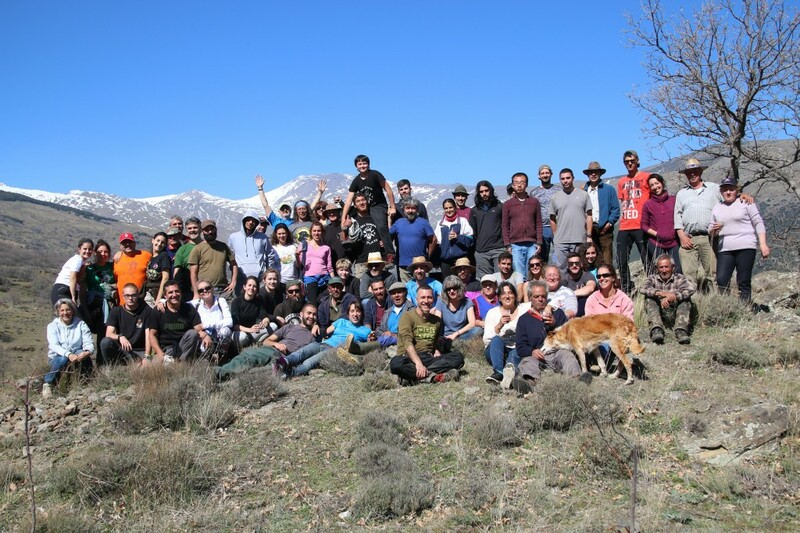 This campaign promotes the direct participation of civil society and public administration in the preservation and promotion of local landscape and cultural heritage and represents a model of good practice for the rural heritage pilot of REACH Project. 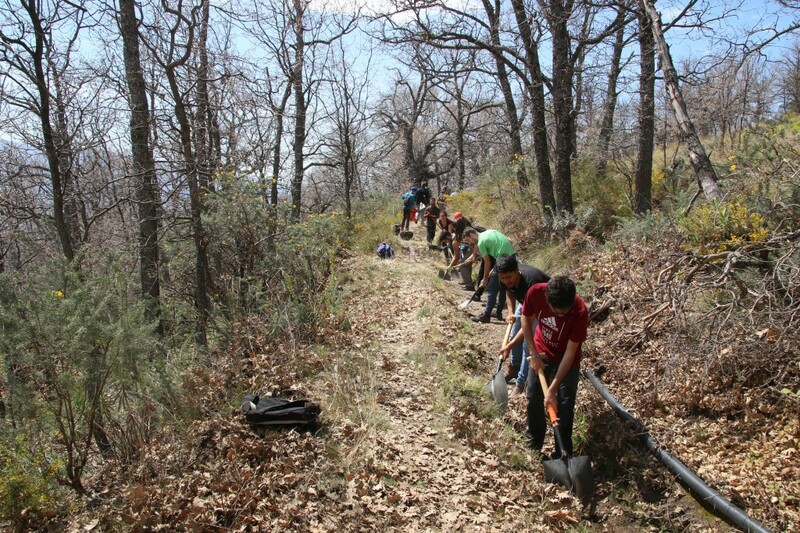 The “recovery of historic irrigation channels” initiative .